XCP Professional Chain Lubricant offers Long lasting protection against wear and corrosion. 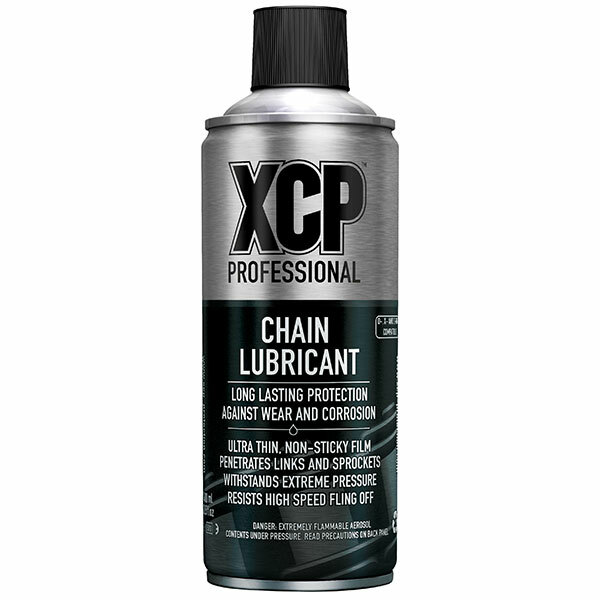 XCP Chain Lubricant offers Long lasting protection against wear and corrosion. 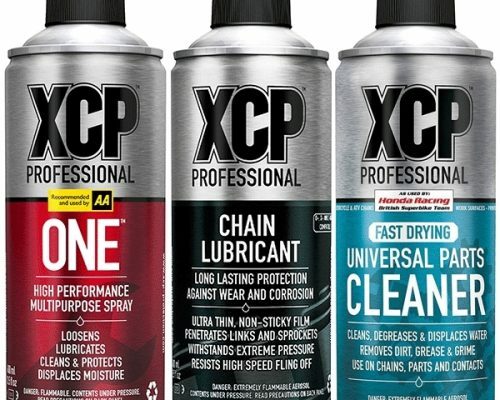 XCP Chain Lubricant quickly penetrates the links and sprockets to lay down a thin, even and non-sticky film, designed to keep the chain lubricated and protected. 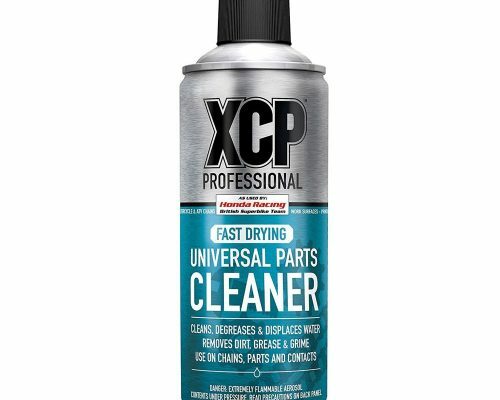 The non-sticky film allows for easier dirt rinse off when cleaning. 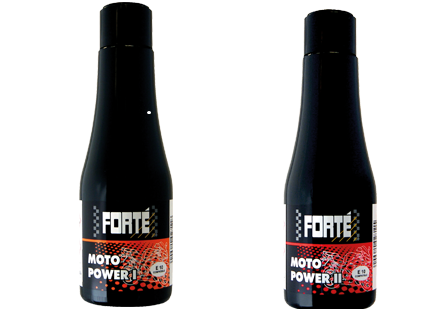 Suitable for motorcycle, ATV and other motor driven chains. 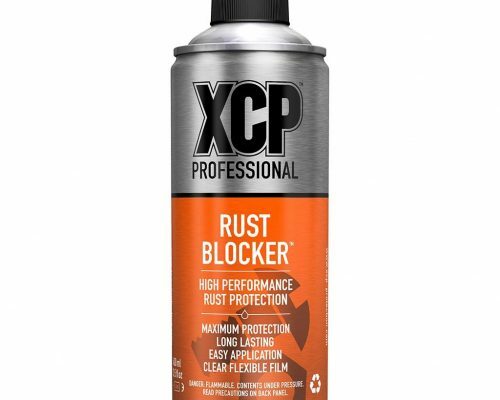 Suitable for road and off-road use. 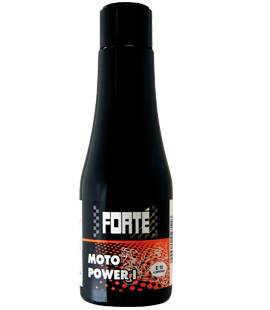 The powerful formula is built to withstand extreme pressure, reduce friction and minimise the long term effects of wear maximising the power output of the chain. 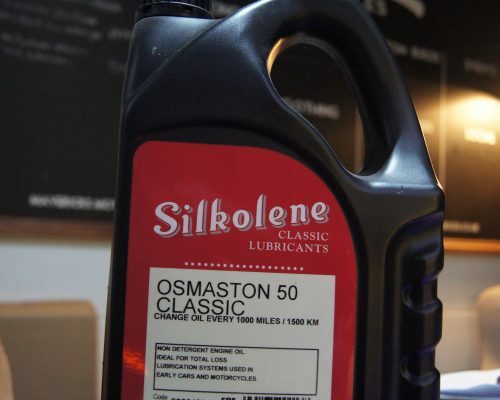 Due to the formula’s unique flow properties, an ultra thin film is laid down on the chain, with minimal ‘pooling’ of liquid and high fling resistance.